The Animeism.org team has thrown together quite the guerilla marketing campaign to go along with our Anime Central 2012 Floor Coverage. If you saw us around the convention, you probably noticed us graciously giving away our promo materials. The spread consisted of: Exclusive Animeism.org Drawstring bags, Animeism Business Cards, Animeism.org Stickers, Ask me to be in my Anime t-shirts, Zodiac Anime Stickers, Zodiac Business Cards, Zodiac themed Fortune Cookies, and Dr. Bowscottnik’s “Sonic the Djenthog 1″ cover album. Check it out! Bandai recently confirmed at an event in Las Vegas that they will indeed be releasing a first-person brawler-style Dragon Ball Z video game for the Xbox Kinect. Players will be able to play as over 50 characters, including one new fighter, and execute over 100 moves from the series by physically performing them in front of their television. On a personal note I just want to say how proud I am of all of us tonight. We’ve all been subconsciously/consciously willing this in to existence with our minds over the course of the last 25 years or so, and we finally did it. YATTA! 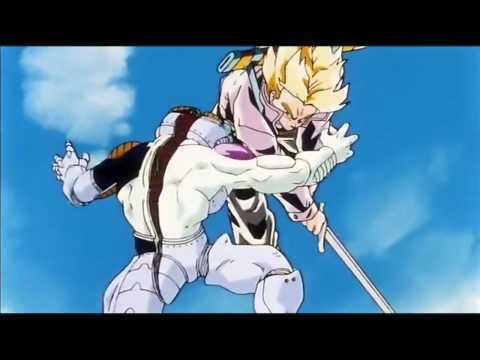 Mirai Trunks slicing Furiza is still awesome.